This is the purpose of this workbook - it has been specifically designed as a great practice resource of many key reading and spelling skills that will help teachers understand the importance of teaching phonics and whole language approaches. Each activity has been carefully selected to provide Year 1 children with an interesting variety of reading, spelling and vocabulary activities and is ideal for teachers to use as models for further practice skills. ACELA1455 - Recognise and know how to use simple grammatical morphemes to create word families. ACELA1458 - Use short vowels, common long vowels, consonant digraphs and consonant blends when writing, and blend these to read single syllable words. ACELA1459 - Understand that a letter can represent more than one sound and that a syllable must contain a vowel sound. ACELA1778 - Understand how to spell one and two syllable words with common letter patterns. ACELA1821 - Use visual memory to read and write high-frequency words. ACELA1822 - Segment consonant blends or clusters into separate phonemes at the beginnings and ends of one syllable words. ACELT1585 - Listen to, recite and perform poems, chants, rhymes and songs, imitating and inventing sound patterns including alliteration and rhyme. ACELY1659 - Read decodable and predictable texts using developing phrasing, fluency, contextual, semantic, grammatical and phonic knowledge and emerging text processing strategies, for example prediction, monitoring meaning and re-reading. 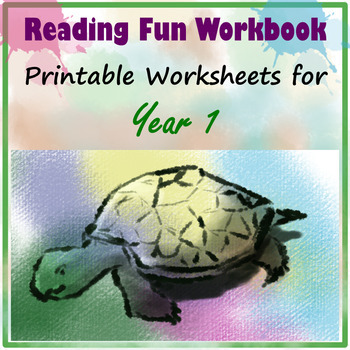 Download the FREE Writing CVC, CCVC and CVCC Words Worksheets to get two of the worksheets included in this workbook!